The new Brightline railway in South Florida opened its link to a new station in Central Miami on May 19. The line will operate eight daily round-trips linking Miami, Ft. Lauderdale and West Palm Beach. 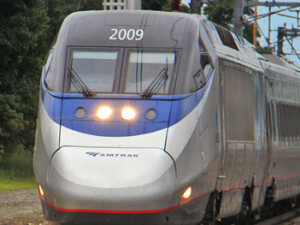 The new Miami Central station is located near the site of the original Florida East Coast (FEC) station, which served the Atlantic Coast Line streamliners from New York, the “Dixie” trains from Chicago, and many other top Florida trains. Brightline trains use the original FEC mainline tracks. The new station provides connections to the Miami heavy rail metro system and the downtown people-mover loops. Within a year or so, the area’s TriRail commuter system will also run some trains to the new station. Brightline’s next expansion will continue up the old FEC right of way to someplace near Cocoa, where it will head west to Orlando.